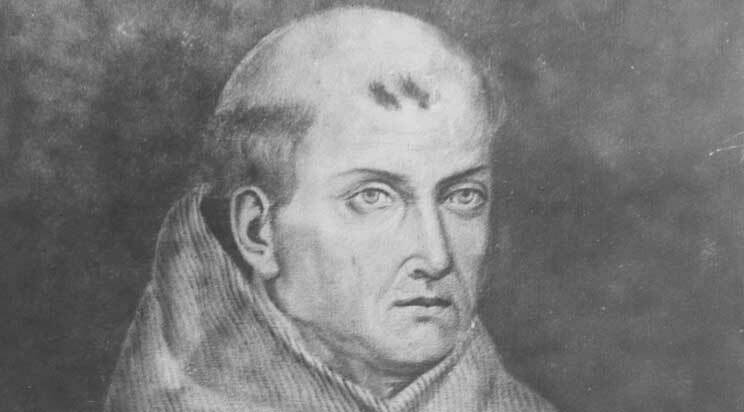 Saint Junípero Serra, a Franciscan missionary born and raised in Mallorca, Spain, was appointed the Father President of the Alta California Mission’s in 1769. He had over 15 years of administrative and missionary experience in various parts of Mexico, including the Sierra Gorda. 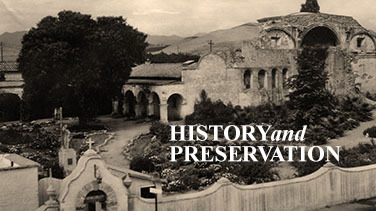 Although Saint Serra was in his fifties and suffered from a chronic ulcerated condition in his leg when he was assigned to oversee the missions, he had uncompromising optimism in his efforts to convert Native Americans and colonize California. His personal motto was “Always Forward, Never Back.” Despite hardships, lack of supplies, squabbles with the military leaders, Saint Serra established 9 missions, and converted about 5,000 Native Americans before his death in 1784. He died and was buried at his headquarters Mission Carmel, just outside of Monterey. 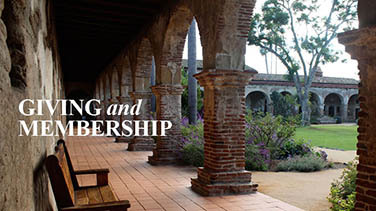 Today we can see Saint Serra’s legacy by exploring Mission San Juan Capistrano’s grounds. 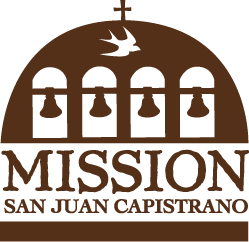 Serra Chapel, named in his honor, is the last remaining mission church in which Saint Serra celebrated Mass. When he last visited in 1783, he walked and may have stayed in the South Wing Building, or the Padres’ Living Quarters. The Mission Treasure’s Exhibit also features the “Serra Vestment” which dates back to the 1770s, and was likely used by Saint Serra when he was here. Lastly, the Serra Statue located near the Bell Wall, just turned 100 years old; it was commissioned by Father John O’Sullivan in 1914 to honor Saint Serra who founded Mission San Juan Capistrano in 1776. Saint Junípero Serra is considered one of the most important Spanish missionaries in the Americas. His historical significance is even represented in U.S. Capital Building’s Statuary Hall. Serra was chosen as one of two historically significant persons to represent the state of California. For someone born 300 years ago Saint Junípero Serra has been in the news a considerable amount in 2015. In January, Pope Francis announced Serra’s canonization would take place during the Pope’s historic visit to the United States in the fall of 2015. Eight months later, Pope Francis will canonize Junípero Serra as a saint on September 23, 2015 at the Basilica of the National Shrine of the Immaculate Conception, at Catholic University. In addition to Serra’s canonization, a larger controversy developed involving Serra in Sacramento. Just a few weeks after Pope Francis’ announcement to canonize Serra, California State Senator Ricardo Lara (D-Bell Gardens) introduced Resolution “SJR 4” to remove the statue of Junípero Serra from the US Capitol Building’s Statuary Hall and to replace it. The Serra statue was installed in the US Capitol Building’s Statuary Hall in 1931, and has since represented California for 84 years. Although it is not unprecedented to replace statues, the timing of the resolution so close to the Pope’s visit and Serra’s anticipated canonization upset the public. Testimony by Californians opposed to the removal spoke before a State Senate committee on June 30, 2015. After considerable push back by concerned Californians, and Governor Jerry Brown who has committed to keep Serra as an historic symbol in place, Senator Lara postponed his measure.